This fail is absolutely heartbreaking. Nas spoke on working with Frank Ocean a few months ago and had fans waiting for the collaboration on his upcoming Life Is Good album. The track "No Such Thing as White Jesus," which was produced by Hit-Boy, got lost and the corrupted file couldn't be fixed in time to drop on Life Is Good. New York Times pop music critic Jon Caramanica called the song "political and astute" and similiar to the intensity of "No Church In The Wild." During Caramanica's profile on Ocean for the Times, he sang partial lyrics of the song-which Caramanica noted as something that Nas "needed right now." 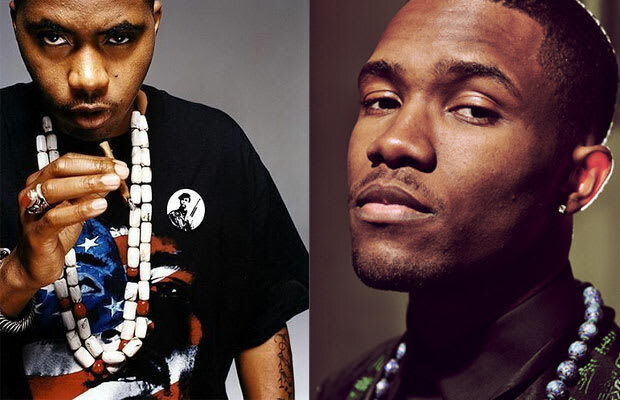 A lost Nas and Frank Ocean track? Fail, Hit-Boy. But he already knows this. He tweeted: “Yeah, I fucked up and lost the drive while traveling. That's why I'm not on Life is Good. Smh." We're shaking ours too.